A beautiful jigsaw design necklace. A beautiful engraved pendant necklace in a jigsaw design. 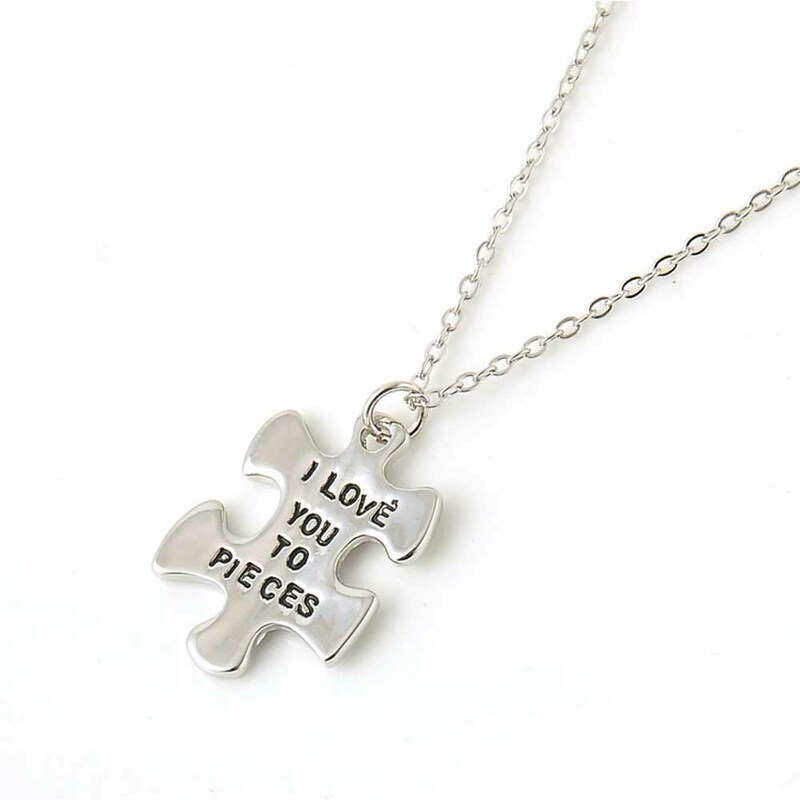 The silver jigsaw pendant is engraved with 'I Love You To Pieces'. The gorgeous pendant is supported by a strong silver chain.